I don’t know about you, but I have been led astray so many times by mechanics and tyre shop owners who wanted to sell me something other than the item best for my car, that these days I tend to do the research and buy the parts I need myself. Here I will try to answer the question how to choose the right tyres, hoping it would help others who have taken on the task of getting their own tyres rather than relying on the dishonest shop keep who may need to unload a certain brand fast and therefore pushes it on you whether it’s what you need or not. The first thing you need in your quest to shod your wheels with a new set of tyres is finding a good online vendor. I like tyres.net because they have a huge selection of types and brands, and also because of their awesome search tool which enables you to choose every last detail of the tyres you need. You don’t need to have a particularly strong knowledge of tyres, their tread and compound and the mysterious numbers on the sidewall, to find the right set. You can just put in your vehicle type and model and the type of tyre you need, summer, winter or all season. Of course, those who want to delve deeper and narrow their search based on the width, height, diameter and even speed and load indexes can enter those parameters as well. To find these figures you either have to consult your car’s user manual or check the sidewall of your current tyres. You will find something like this: 205/55 R16. The first figure is the width of the tyre, the second its height or profile, and the last one the diameter which is important because it has to match the diameter of your rims. The R means the tyre has radial construction. You could choose a wider tyre for your standard wheels, and indeed many people do so, either because they think it looks better or they want more grip. Wider tyres have bigger contact surfaces with the ground and therefore have more traction. You shouldn’t go overboard though. If the standard set on your car has a width of 205, you can go up to 215 or even 225, provided you compensate for it with the height figure. The larger the width, the smaller the height. Now, this isn’t always a good trade. Larger height on a tyre means there is more give to it. So if it’s comfort you want, get a set of tyre with bigger height value. Of course, that would mean narrower width and a little less traction. Another factor to take into account when choosing a new set of tyres is the compound. It is something an average user has to concerns himself with. But if, say, you have a car with hard suspension and you want to soften the ride a little bit, when tyres with softer compounds can make a big difference. Don’t worry, you don’t really need to know all the chemicals in the tyres for this. In fact, you don’t need to know about the compound at all. You just have to know what brand is known for softer compound and what brand does hard one. And for this all you need to do is visit a couple of internet forums and read other people’s experiences. For normal hatchbacks and sedans Michelin and Kumho are known to make delightfully soft tyres, whereas Hankook and Nexen are a little harder. 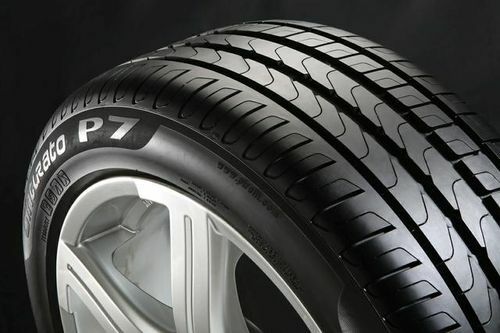 As for the tread, as long as you have chosen the right type of tyres, i.e. winter or summer, it all comes down to which one you like best to look at!